Below and on the additional pages in the side bar menu is an introduction to the Payments process and Industry. This may be useful if you are new to recruiting in this area. To understand the payment process, we suggest a working knowledge of the participants and the services they provide along the way. Also try tracking a hypothetical transaction through the entire payment processing system. In that way you can understand not only what services these participating firms provide, but also how fees are charged for processing a transaction along the way. 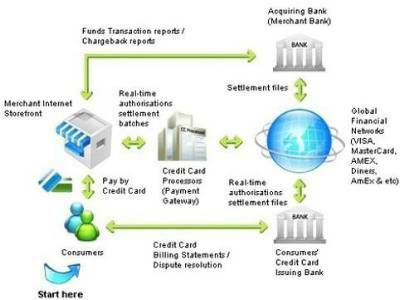 the customerthe merchantthe payment gatewaythe acquiring bank’s processorthe credit card interchangethe customer’s credit card issuer, andthe merchant’s acquiring bank. Seven participants, in other words, normally interact with each credit card transaction. With all of these companies involved in the process, it takes, amazingly, just 2- 3 seconds on average for a transaction to be approved. Your first destination is the payment gateway (0.10p), which routes you to the appropriate processor (0.10p). The processor immediately submits you to what is known as the credit card interchange (0.10p). After you’ve cleared the interchange, your next leg takes you to the issuing bank (£1.90), which verifies the available funds in the customer’s credit card account. Whether you are approved or declined, you now begin the journey back to the customer. However, if you’re approved, you and your authorization results are soon to part after speeding by each stop you made on the way. Your detour is through your merchant account at the acquiring bank (0.65p) to, ultimately, the merchant’s bank account, where you will be deposited; that is, the £97.15 of you that remains.